Do you have a child or grandchild who loves to play the video game Minecraft? 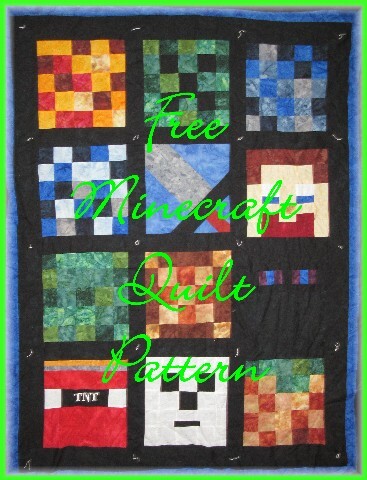 How about make that special girl or boy a Minecraft quilt? It is a fun, easy free pattern I designed with the computer program Electric Quilt 7. You can customize the quilt to the colors you want and finish it any way you want. For fabric, I actually used some I had on hand. It is Bali Prints from Hoffman Fabrics. I had a fat quarter bundle in my fabric stash and it worked out perfectly. This quilt would work well with solids too. You can follow the guide or choose any colors you wish. To begin with, gather all your fabric and supplies. 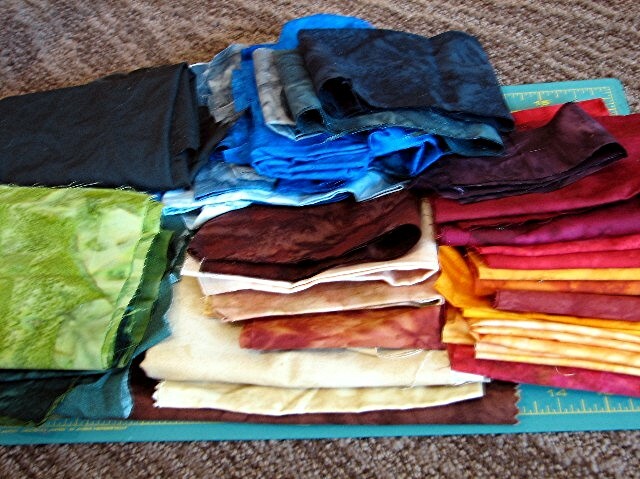 It is easier when you are organized and you don't want to run out of fabric. Cutting the fabric works best with a rotary cutter, on a mat, with a quilting ruler. I like to cut all my fabric first, then sew; others may like to cut block by block. There is no right or wrong way to do this, whatever you like best. Most of the blocks are simple squares, that cut up quickly. Templates are included in the pattern download and you can trace them to quilting plastic if desired. Once the fabric is cut, you can begin, block by block to sew it all together. My son had a lot of fun rearranging the blocks on the floor of my sewing room to decide how they should go together - it was fun to include him in the design process. If you iron as you go it makes it much easier and the blocks lay nicer. After they are sewn, it works best to cut them all the exact same size with a rotary cutter. I cut mine down to 12" blocks. Here again you can customize, if you want a bigger quilt you could add another row of blocks and just repeat some of them. For the sashing (the stripes between the squares), you can choose whatever colors you desire, I went off pattern and made long stripes, or you can do stripes and squares - it's your quilt to make the way you desire. For finishing the quilt there are many options available. You could buy quilt batting, backing and bind the quilt. You could then either tie it, hand quilt or machine quilt it. 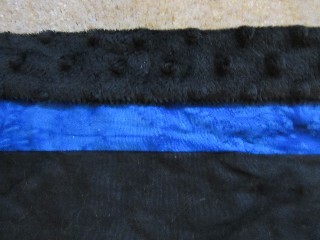 I chose to tie it and self bind it with Minky fabric - it is the soft fleece with bumps on it. My son loves the warmth and softness of it. 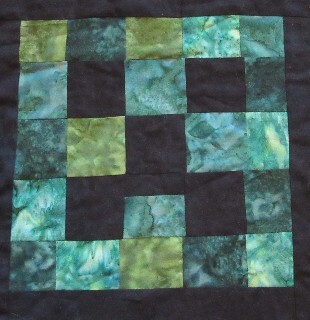 To self bind, lay the quilt out on top of the backing, wrong sides together and pin. Cut the backing 2" larger on all sides, fold and pin down. Tie together. Then, using a zig zag stitch, sew together. Now, let that special girl or boy enjoy their new Minecraft Quilt! After you have made your quilt, feel free to share a picture of it here, our online quilt gallery of photos submitted by our users.